September marks the time of the year where FASD awareness, education, and community collaboration comes to the forefront, and this year was certainly no different. This September Illuminate not only hosted a BreakFASD event but also teamed up with community partners and professionals in the redevelopment and promotion of the Pass It On FASD Awareness video. This year’s BreakFASD event on September 20th brought together professionals, community members, and family members of individuals experiencing an FASD over breakfast. BreakFASD attendees heard an inspiring poem written and performed by a child with an FASD and engaged in collaborative discussion regarding the current issues surrounding the FASD community in Colorado. Illuminate’s current FASD support groups and FASD education opportunities were both highlighted. Reaching an even larger audience, the 2018 Pass It On video continues to be a fun and powerful tool to encourage awareness and education on the impacts of prenatal exposure to alcohol and other substances. Illuminate proudly teamed up with community members and professionals—as well as Governor Hickenlooper and Attorney General Coffman—to create the video. If you haven’t already, be sure to watch and share the 2018 Pass It On video here! Thank you to everyone who participated in this September’s activities and all of you who will continue to do impactful and important work in communities across our state. 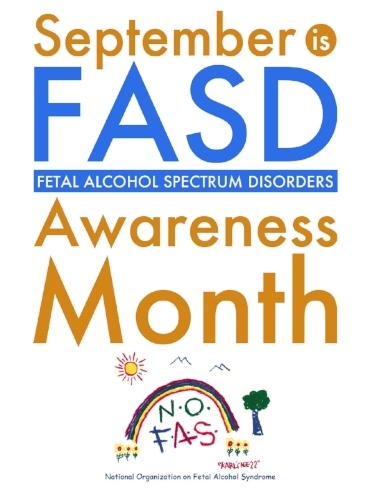 Though FASD Awareness Month is only one month, Illuminate’s advocacy and work to support individuals and families impacted by FASD continues year round. To learn more about Illuminate’s FASD efforts, contact Karl Nadon at knadon@illuminatecolorado.org.